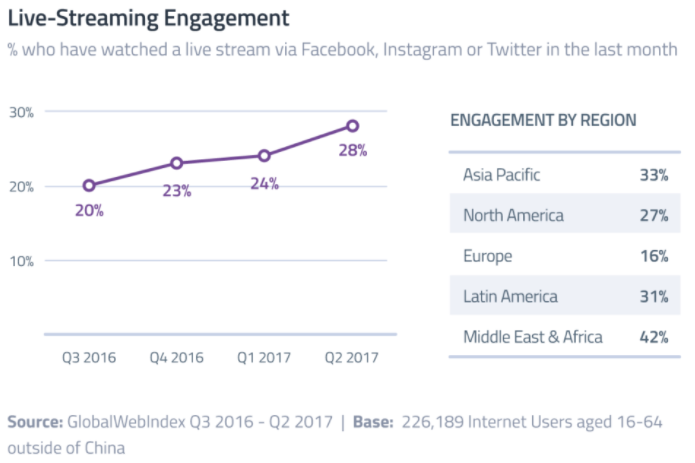 The data from Global Web Index is nine months old, but the trend of engaging with live streams will be something to watch in 2018. TechCrunch, which seems to have an inside track on Instagram updates, reports Instagram is "running a test to let users post their Instagram Stories directly to WhatsApp, as a WhatsApp Status . . . where decorated photos, videos and GIFs can be posted with encryption, disappearing after 24 hours." TNW's Rachel Kaser mentions that Twitter has an 'accessibility' option about which few people are aware . . . "When you upload an image to Twitter via iOS or Android, you have the option to add a short description to the pictures. When you do so, users who have voiceover turned on can hear the description read out along with the tweet."